Axiom is expandable so its capabilities can grow as needed. 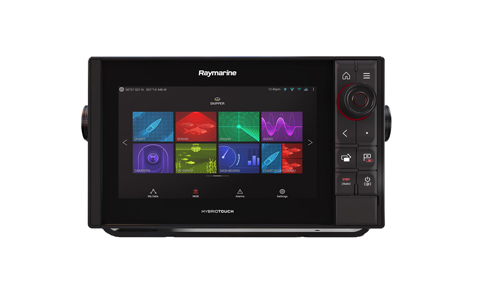 It supports the full range of Raymarine accessories, including Quantum radar, CHIRP Sonar, FLIR thermal cameras, audio integration, instruments, cameras, and Evolution autopilot. 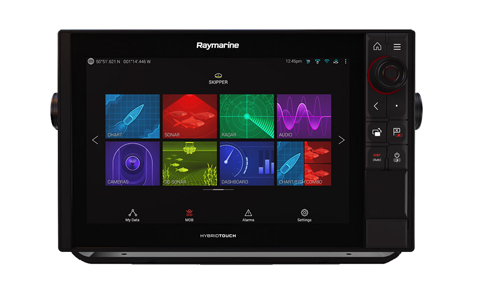 Standard Wi-Fi and Bluetooth connectivity allows connection to the latest Raymarine apps for tablets and smartphones. 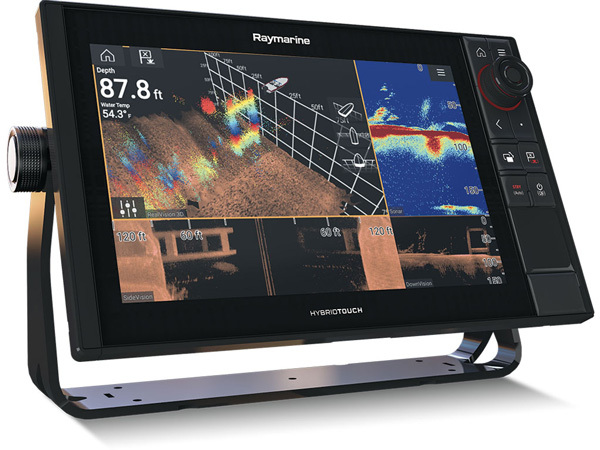 The introduction of a quad core processor into Raymarine’s mfds was clearly necessary to be able to process all the data required to produce crystal clear 3D RealVision images. As a result of adding this processor basic navigation functions have become lighting quick. 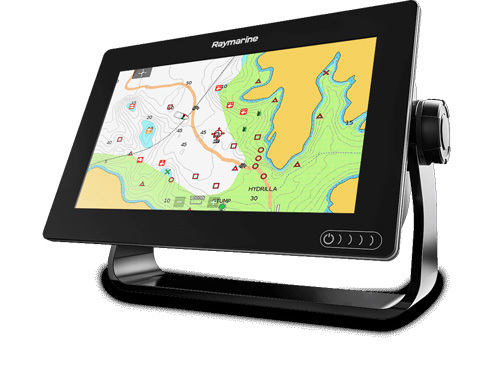 LightHouse 3’s easy-to-use interface will put you in complete command with just a few touches. 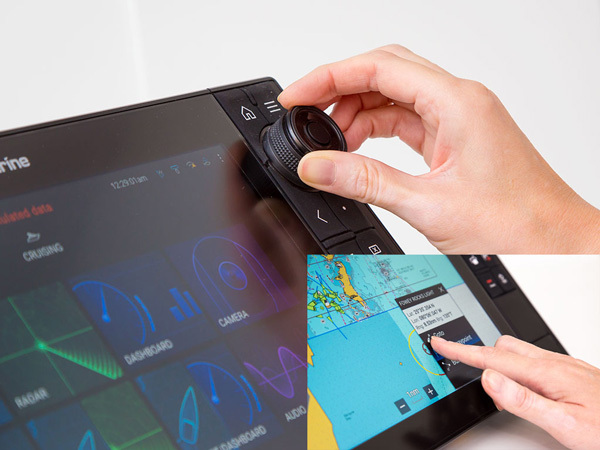 HybridTouch™ - Your choice of simple tablet like touch screen interaction or confident keypad control in rough seas. Custom Key - Get instant access to your favorite function with Axiom Pro’s user-programmable Custom Key. LightHouse OS - Fast, fluid and easy to learn. 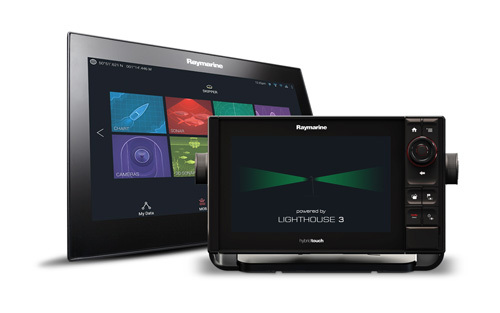 The Lighthouse 3 interface is uncluttered and easy to personalize for your style of boating. RMK-10 Remote Keypad - Add the optional wired RMK-10 keypad to control Axiom Pro from anywhere. 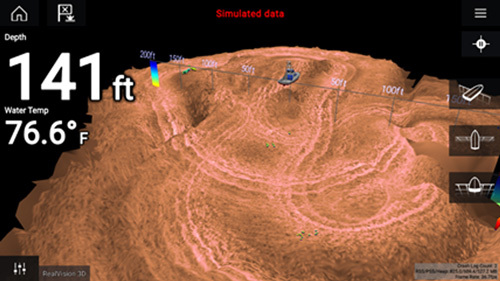 RMK-10 can control a single or multiple MFDs at the same location. 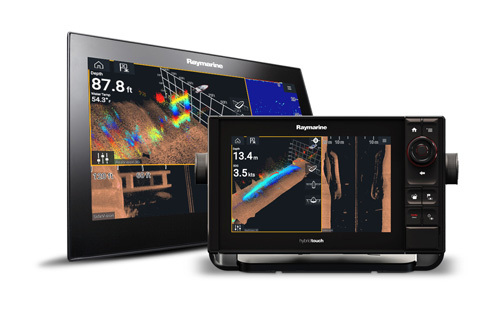 RealVision 3D™ - Easily identify structure and locate fish with the life-like clarity of RealVision 3D sonar. 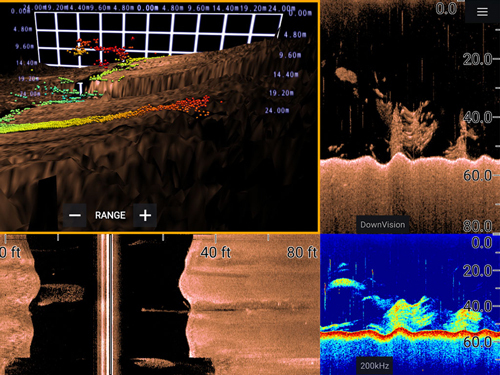 Sonar Scroll Back -Rewind, pause and playback recorded sonar history to take a closer look fish and structure, and easily plot waypoints. 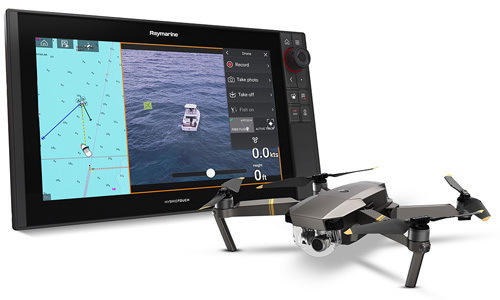 RealVision 3D™ Sonar with GPS Track -RealVision 3D combines with precision GPS to construct the most accurate 3D model of the underwater world, in real-time. 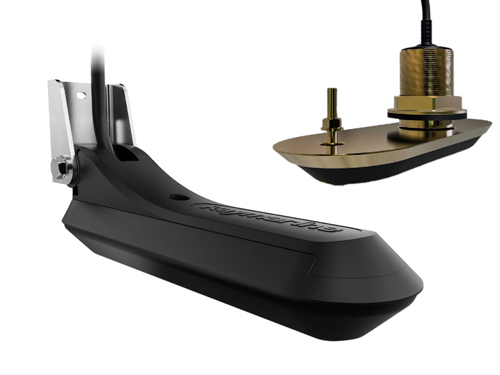 Offshore Rated 1kW CHIRP Sonar -Simply add a compatible offshore transducer and experience the stunning definition and clarity of dual-channel CHIRP sonar. 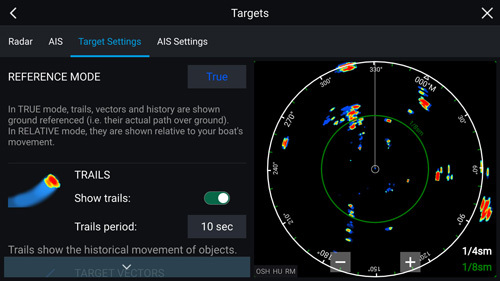 Historical Sensitivity Settings -Adjustments to sonar gain, sensitivity and filtering are also applied to recorded sonar history, enabling you to reveal previously concealed fish and structure. 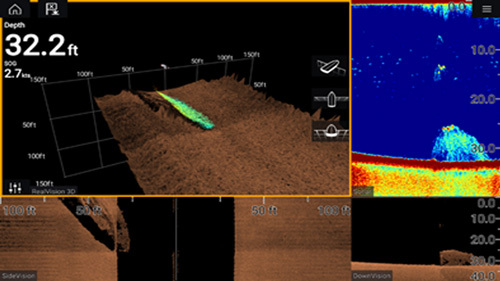 True 1kW Sonar -No gimmicks or games, this a true 1kW sonar – No compromises performance targets bait, fish, thermoclines and more at depths to 5,000 feet. Low, Medium or High CHIRP -Axiom Pro 1kW sonar offers a wide spectrum of CHIRP sonar bands for deep, mid-range and shallow water fishing. 4. 1 kW CHIRP offers a wide spectrum of CHIRP sonar bands for deep, mid-range and shallow water fishing. 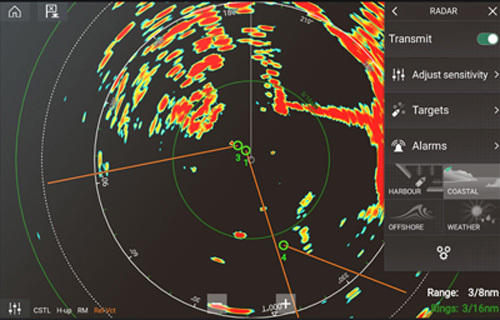 Radar Compatible with wireless Quantum CHIRP Radar and Raymarine’s family of Digital, HD, and Super HD radars. The M100 is an adjustable tilt marine thermal camera is our smallest and most affordable installed marine thermal night vision camera. 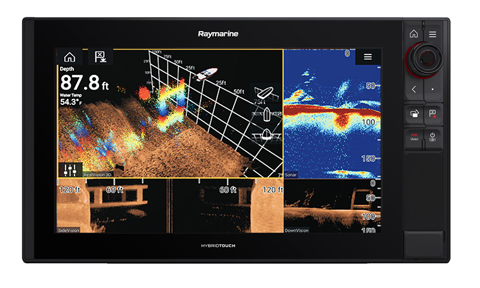 Using Flir's latest generation Boson™ thermal core, the M100 lets boaters see at night in the 320 x 240 thermal resolution. 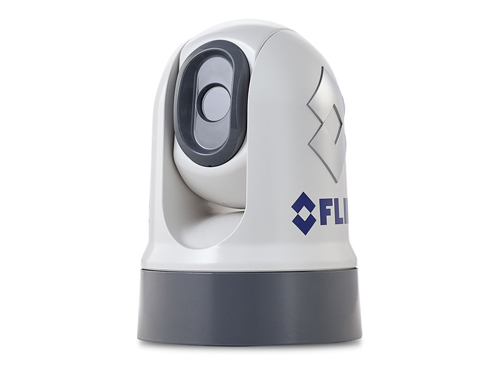 The M200 is Flir's smallest and most affordable pan and tilt marine thermal night vision camera. 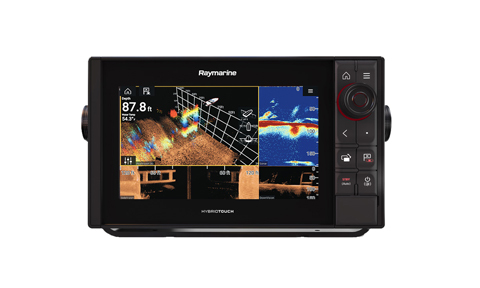 Using our latest generation Boson™ thermal core, the M200 lets boaters see at night in 320 x 240 thermal resolution and also features 2x digital zoom. 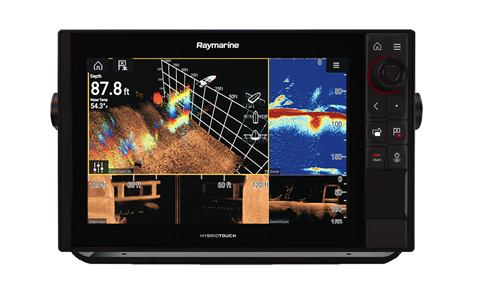 Bold and Bright - Optical Bonding Technology & IPS Displays -Raymarine optical bonding technology and IPS display panels give you stunning color, clarity and contrast in all lighting conditions. Plus, Axiom Pro looks great even through polarized sunglasses. 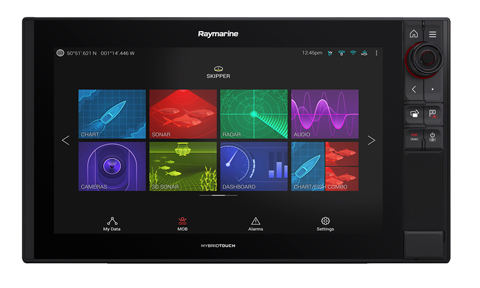 Video Monitoring - IP & Analog Video -Keep an eye on everything onboard from the helm. 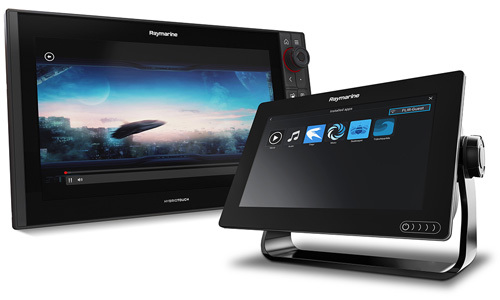 Axiom Pro supports both video over IP and analog cameras and entertainment sources. GPS - GA150 Port - Axiom Pro comes with a built-in 72 channel GPS/GLONASS receiver with fast update. Use the optional GA150 antenna accessory to boost GPS reception onboard vessels with enclosed pilothouses or metal construction where the MFD does not have a clear view of the sky. 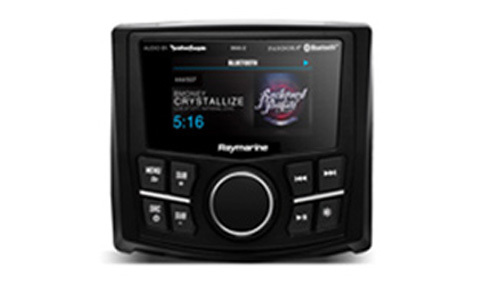 Marine Audio Control - Rockford Fosgate -Rock the boat! 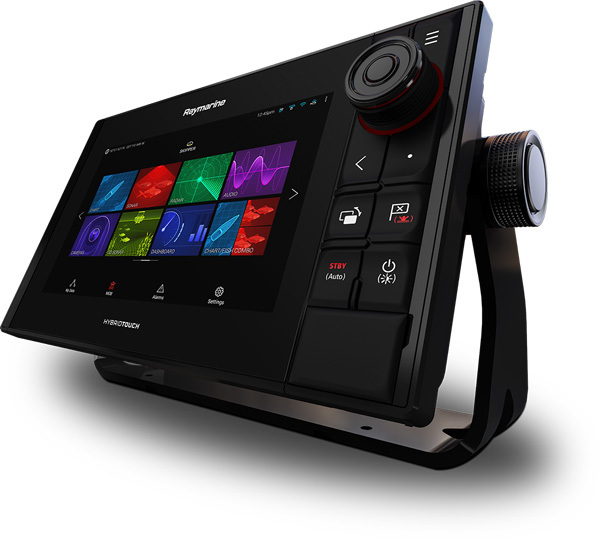 Integrate Axiom Pro with multi-source, multi-zone marine audio from Rockford Fosgate. 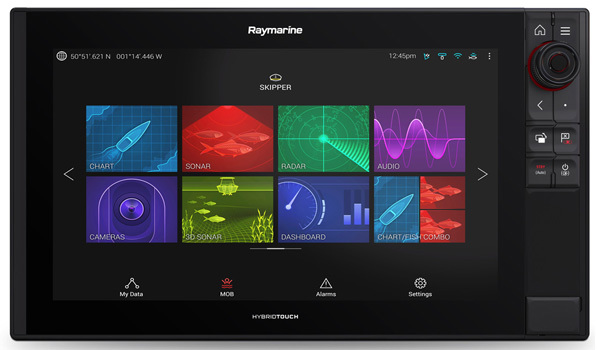 Change sources, select tracks, control zones, and much more right from your MFD. 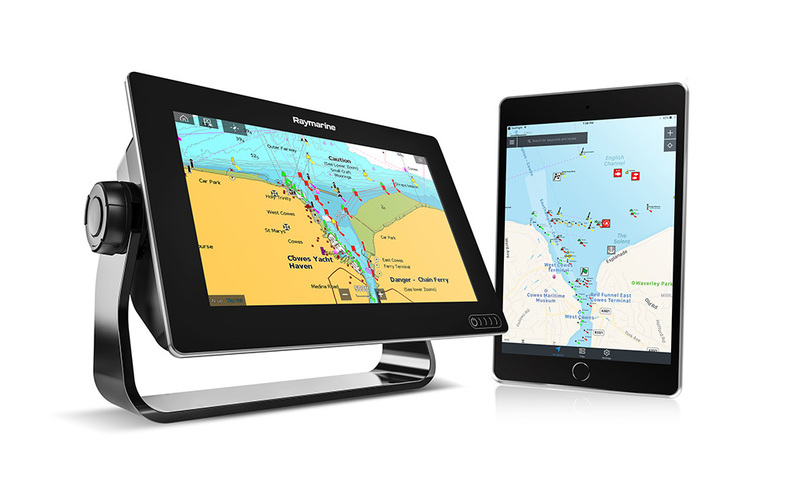 Ready to Network - NMEA2000 & NMEA0183 -Axiom Pro is ready-to network with all the latest electronics using standard NMEA2000 and NMEA0183 connectivity. eS Series and gS Series MFDs running LightHouse II can now be upgraded to LightHouse 3. Once upgraded to 3.3 eS and gS displays can network with Axiom and Axiom Pro displays.